Will Miller Social Justice Lecture Series » Blog Archive » How Does It Feel to Be a Problem? 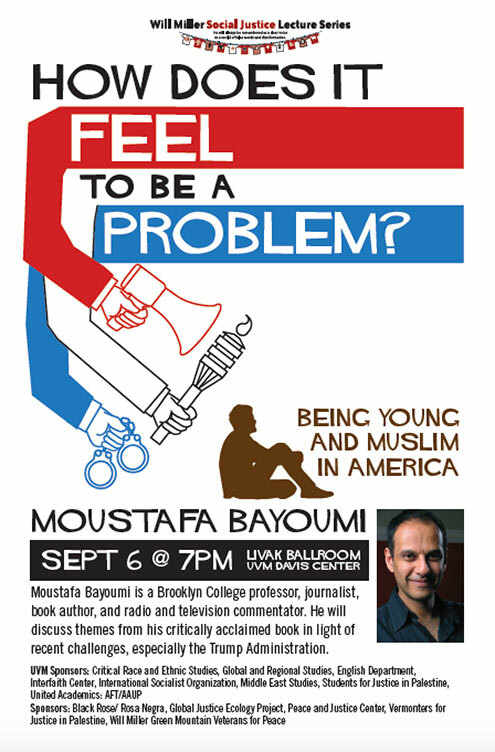 Moustafa Bayoumi is a Brooklyn College professor, journalist, book author, and radio and television commentator. He will discuss themes from his critically acclaimed book in light of recent challenges, especially the Trump Administration. This entry was posted on Wednesday, August 8th, 2018 at 8:19 am	and is filed under Previous Events. You can follow any responses to this entry through the RSS 2.0 feed. Both comments and pings are currently closed.